Wow, a lot has happened since I last posted. And, surprisingly, it hasn't been that long! First, Paul and I moved. We're now renting a very nice townhome in Hudson, WI. It's way bigger than our apartment was and we have a garage and washer & dryer! I have some pictures, but they aren't that great & I haven't uploaded them yet. 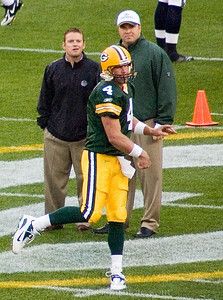 Second, Brett Favre retired. Okay, so it's not really something that happened to me, but everyone's been talking about it. Except at my school, because I work in MN. No one cares there. Next season's going to be tough and a little sad without Favre, but it'll also be exciting to see how it goes. And last... 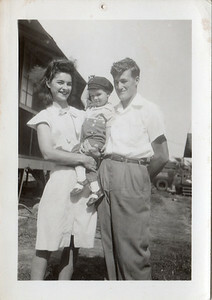 I finally finished uploading my grandparents' pictures to Flickr. Right now, they're only available to friends & family, so to see them you'll have to add us (ebbenfamilyphotos). Here's another quick preview.